So the Alola Region has five islands. One of them is artificial, and the other four are natural. By comparison, Hawaii has eight major islands. The new professor is Professor Kukui. 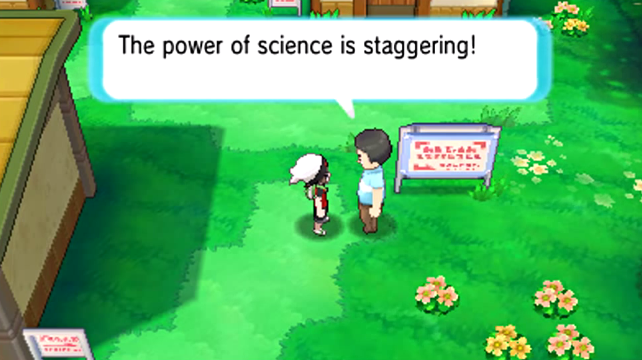 He's intense about Pokémon moves, which should've had a dedicated professor generations ago. They're pretty important. There's Lillie, Professor Kukui's “mysterious assistant.” She's important to the story in some way. I hope she's only mysterious to us and not Professor Kukui. He...did do a full background check on her, right? She's not a closet ISIS member, RIGHT? Those “personal reasons” she's working for him are suspicious, and the official site also said she has “devoured many books.” I'd rather her devour books than have Solgaleo devour the whole sun. Malasada is a Portuguese dish, so maybe this isn't based on Hawaii. There's some presumably-lame QR scanner thing that I don't find worth talking about that might eventually involve you going to a webpage with the QR codes for every Pokémon in existence. ...Hopefully it's split up into several pages so your computer won't crash. Of SIGNIFICANTLY more importance is the ROTOM Pokédex! This is more exciting than even Rowlet. The Pokédex devoured Rotom! It appears that there are only a few of these Rotom Pokédexes in the entire world, and they seem to mostly be in the Alola Region. It's like a sentient Pokétch + Pokédex that has a personality. It's basically Stuffwell from Mario & Luigi: Partners in Time. That's exciting. They didn't have to stuff a Rotom into it. It could've been an Alola-native, or it could've just been a machine. The fact it's a known Pokémon means the Alola Region won't just ignore the other generations' existences like Unova did. Not only will Rotom be recording your information (like a Pokédex would), but it'll apparently dynamically talk to you. TALK. Like it's a Pokémon Mystery Dungeon game. I may have been spoiled by that, because it didn't hit me that Pokémon are not supposed to normally talk to humans. Will we finally see a communications revolution? Other Pokémon can communicate with one another. Rotom can hear that, and then talk to the protagonist and translate. I can't wait for what the fat dude in all of the starting towns in the series has to say about the latest technology. And you thought Alola would be some backwater tropical resort. Nope: It's on the forefront of technology. I gotta say, after hanging out with him a lot in Pokémon Super Mystery Dungeon, Rotom is one of my favourite Pokémon. He's like, level 93 right now and has Discharge, Ominous Wind, Uproar, and Shadow Ball. That makes him a room-clearing machine, and he's also the guy I have representing my team for Spotpass/Streetpass. Great guy. Mischievous, too, just like me. Today's news raised Ludwig's pre-release opinion of Pokémon Moon! That's definitely the one he's getting, as he's already expressed in the past. But what about YOU? Has this changed your opinion of which version you're getting? Or are you getting both? Or do you now not want to get either? Ludwig would also like to apologise for unpublishing and then republishing this article. He figured that Resurgence is a better pun than Relevance for an Electric type. For KoopaTV's article on Popplio, Litten, and Rowlet's reveal, look here. It's quite comprehensive in terms of information and KoopaTV's staff. Rotom has managed to possess the entire KoopaTV site for E3 Week 2016! Pokédex Rotom showed up in Treehouse Live during E3, but only to censor something. 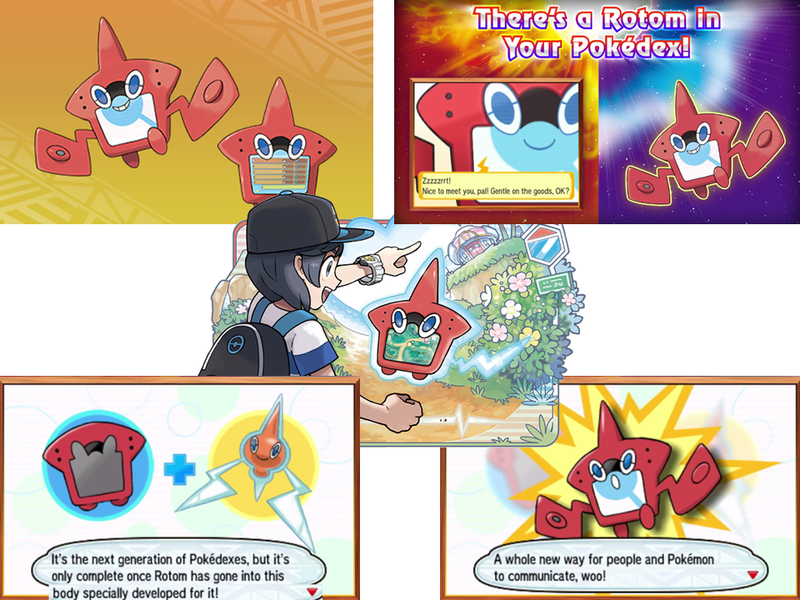 Rotom may be the key to the increased bond between Trainer and Pokémon exclusive to Alola. Rotom finally appears in a meaningful way in a news release. It functions as a talking camera. Your Friend Hau turns out to be extremely annoying in-person. Your Friend Hau should be killed off, and Ludwig completely hates the guy and wants him dead. Although malasada is a Portuguese dish, it is still popular in Hawaii. Plus, "hau" is a Hawaiian word which means ice, cold, or snow and the kukui is the state tree of Hawaii. 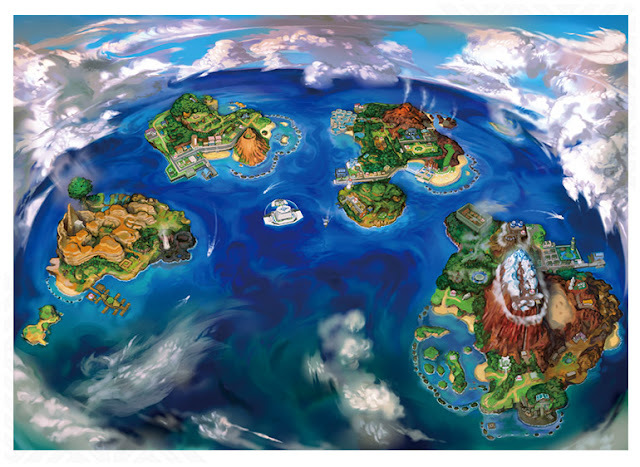 Based on this evidence, I still believe the Alola (Aloha) region is based on Hawaii. What interactions in the past have Portugal and Hawaii had? Why does YOUR FRIEND HAU be the cold dude? What if he picks Litten as his starter?! The Rotom part sounds like it could be really cool or really annoying, depending on why and how often Rotom talks to you. I wonder what role Hala will play, since originally it looked like he's the one who gives you your starter. I'm still getting Moon. Psychic/Ghost sounds fine to me! What, you think it's gonna be like Navi? Hala? You mean YOUR FRIEND HAU? Yeah, a talking Pokedex puts the fear of Navi into me. xD But it could be really cool, otherwise. His name is Hala. Hala is another type of tree, so after that trailer, people were debating about whether he or Kukui would be the professor. Oh. I was WONDERING who the hell that guy is. 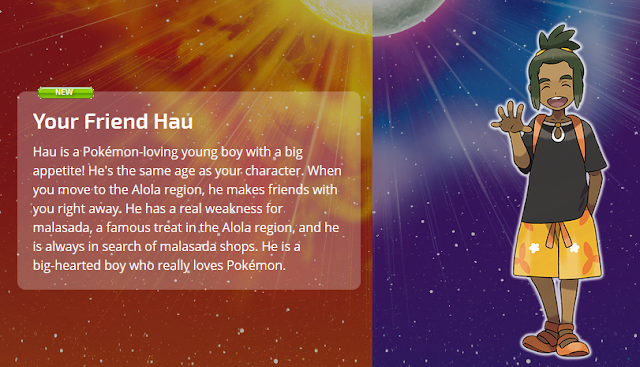 Maybe he's YOUR FRIEND HAU's dad. Or grandpa. It's great that TPC balances the old with the new and not just push for new stuff all the time. I do feel gen 2 is the least likely to be represented of all the gens though. I know gen 2 is loved by a lot of fans but I feel you don't see gen 2 Pokemon being used as mascots/representatives of Pokemon as a whole like the other gens. Gen 2 only has 100 new dudes and its new region was half-sized. ...So yeah, it's not gonna get much. At least it got Celebi in Pokémon Mystery Dungeon: Explorers. And every Power Of One reference is referencing Gen 2.